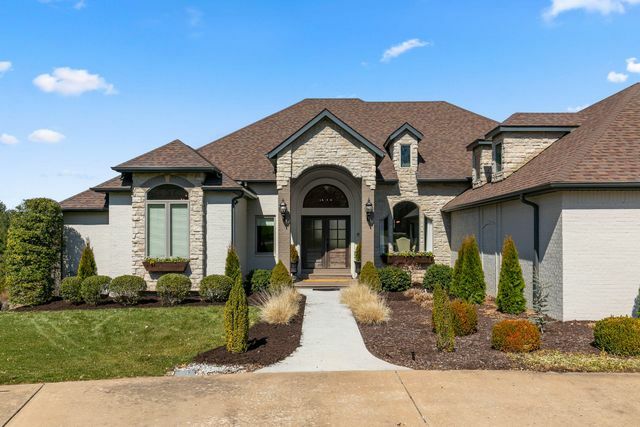 This beautiful home in Springfield, Missouri includes many great features. Here are a few of the home’s incredible highlights and attributes! From the beautiful kitchen, to the open deck on the back of the home, this house is perfect for entertaining. 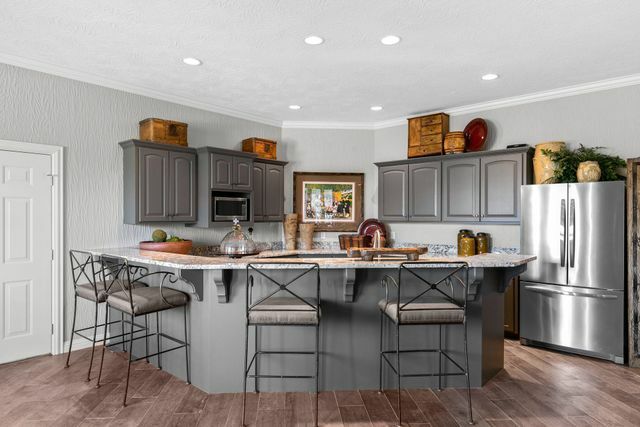 The finished basement provides a separate living space for any short- or long-term guests, and the large back deck and patio are perfect for grilling or enjoying views of the community lake. 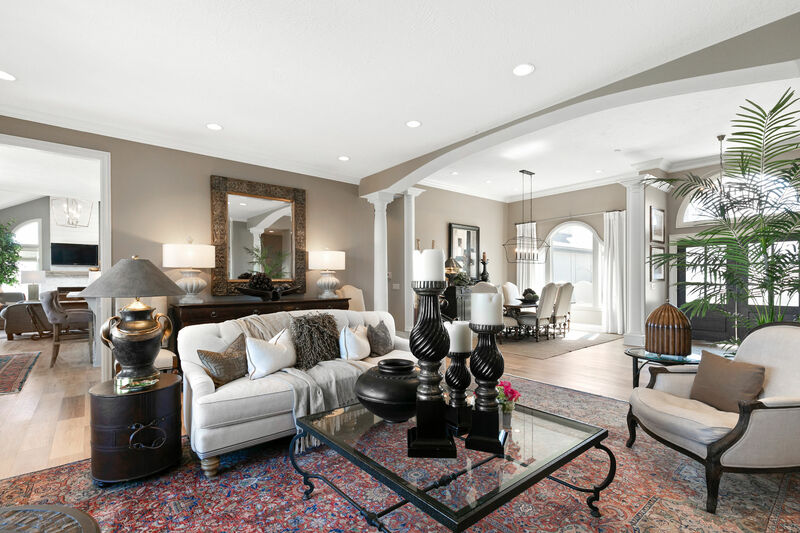 Highlights of the home include a bright and open feel throughout with plenty of natural light. The home offers a pleasing color pallet, and there are multiple fireplaces throughout. 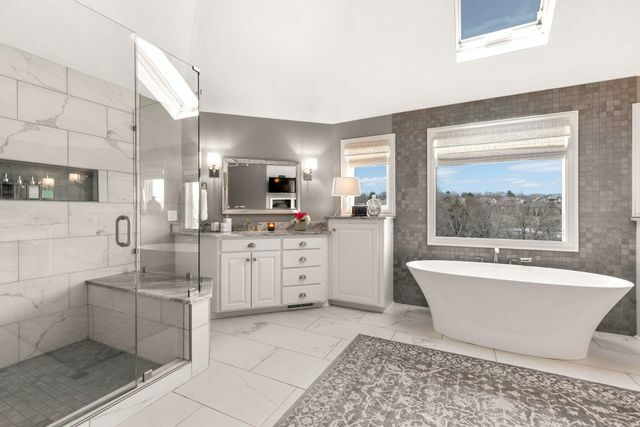 Other features include a custom kitchen and dining combo with amazing views, & an elegant spa-like master suite. The home also offers a second living space. The space is perfect for college students living at home or long-term visiting relatives. The finished basement provides a full kitchen and a second master suite. The open floor plan includes large windows, beautiful floors, a fireplace, & access to the back patio. A custom wine cellar completes the space. 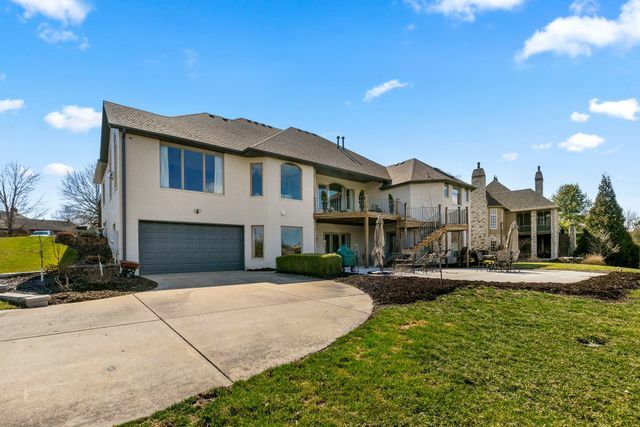 This beautiful home is located in the desirable, Terrace Subdivision. The location provides quick access to Highway 65 and Battlefield Road in Springfield. There are many options for dining including restaurants such as Bambino’s, La Paloma, Big Easy Grill, Smokin’ Bob’s BBQ and many more great food locations that are under a ten-minute drive from the home. Walmart and Sam’s Club are also under ten minutes from the home, and AMC Springfield 11 is a short, five-minute drive from the property.